I am currently an algorithm engineer at Alibaba Group (U.S.) Inc. Before I joined Alibaba Group, I was a Reseach Investigator in the Medical School of Michigan University advised by Dr. Jieping Ye until April 2019. I worked in the School of Computer Science at Carnegie Mellon University from July 2014 to Sep 2015 advised by Dr. Alexander G. Hauptmann. I received my Ph.D. degree in computer science from Tsinghua University in 2014 under the supervision of Prof. Chuangshui Zhang. During my Ph.D. study, I had been a visiting scholar in Michigan State University advised by Prof. Rong Jin from Nov 2012 to Dec 2013 and in CMU from Dec 2013 to July 2014. 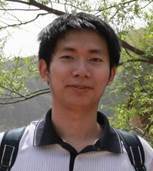 My research interest mainly focuses on high dimensional high order statistics and efficient deep learning. Xiang Li, Aoxiao Zhong, Ming Lin, Ning Guo, Mu Sun, Arkadiusz Sitek, Jieping Ye, James Thrall, Quanzheng Li. Self-paced Convolutional Neural Network for Computer Aided Detection in Medical Imaging Analysis. In Proceedings of the 8th International Workshop on Machine Learning in Medical Imaging (MLMI), 2017. Zhenzhong Lan, Shoou-I Yu, Dezhong Yao, Ming Lin, Bhiksha Raj ; Alexander Hauptmann. The Best of BothWorlds: Combining Data-Independent and Data-Driven Approaches for Action Recognition. IEEE Conference on Computer Vision and Pattern Recognition Workshops (CVPRW). Pages 1196-1205, 2016. Chuang Gang, Ming Lin, Yi Yang, Gerard de Melo, Alexander G. Hauptmann. Concepts Not Alone: Exploring Pairwise Relationships for Zero-Shot Video Activity Recognition. In Proceedings of the 30th AAAI Conference on Artificial Intelligence (AAAI), Pages 3487-3493, 2016. Chuang Gang, Ming Lin, Yi Yang, Alexander G. Hauptmann. Exploring Semantic Inter-Class Relationships (SIR) for Zero-Shot Action Recognition. In Proceedings of the the 29th AAAI Conference on Artificial Intelligence (AAAI), Pages 3769-3775, 2015. Zhenzhong Lan, Ming Lin, Xuanchong Li, Alexander G. Hauptmann, Bhiksha Raj. Beyond Gaussian Pyramid: Multi-skip Feature Stacking for Action Recognition. IEEE Conference on Computer Vision and Pattern Recognition (CVPR), Page 204-212, 2015. Ming Lin, Zhenzhong Lang, Alexander G. Hauptmann. Density Corrected Sparse Recovery when R.I.P. Condition is Broken. In Proceedings of the 24th International Joint Conference on Artificial Intelligence (IJCAI), Pages 3664-3670, 2015. Shoou-I Yu, Lu Jiang, Zexi Mao, Xiaojun Chang, Xingzhong Du, Chuang Gan, Zhenzhong Lan, Zhongwen Xu, Xuanchong Li, Yang Cai, Anurag Kumar, Yajie Miao, Lara Martin, Nikolas Wolfe, Shicheng Xu, Huan Li, Ming Lin, Zhigang Ma, Yi Yang, Deyu Meng, Shiguang Shan, Pinar Duygulu Sahin, Susanne Burger, Florian Metze, Rita Singh, Bhiksha Raj, Teruko Mitamura, Richard Stern, Alexander Hauptmann. Informedia@ trecvid 2014 med and mer. NIST TRECVID Video Retrieval Evaluation Workshop, 2014. Lijun Zhang, Jinfeng Yi, Ming Lin, Xiaofei He. Online Kernel Learning with a Near Optimal Sparsity Bound. In Proceedings of the 30th International Conference on Machine Learning (ICML), pages 621 – 629, 2013. Jian Liang, Kun Chen, Ming Lin, Changshui Zhang, Fei Wang. Robust finite mixture regression for heterogeneous targets. Data Mining and Knowledge Discovery, Volume 32, Issue 6, pp 1509–1560, November 2018. Ming Lin, Pinghua Gong, Tao Yang, Jieping Ye, Roger L. Albin, Hiroko H. Dodge. Big Data Analytical Approaches to the NACC Dataset: Aiding Preclinical Trial Enrichment. Alzheimer Dis Assoc Disord. Volume 32, Issue1, Pages 18-27, January-March 2018. Daqing Chang, Ming Lin, Changshui Zhang. On the generalization ability of online gradient descent algorithm under the quadratic growth condition. IEEE Transactions on Neural Networks and Learning Systems, vol. 29, no. 10, pp. 5008-5019, Oct. 2018. Ming Lin, Vaibhav Narayan, Wayne C. Drevets, Jieping Ye, Qingqin Li. Application of Growth Mixture Modeling in Antidepressant Treatment Response Studies. Biological Psychiatry, Volume 81, Issue 10, Supplement, Page S224, May 2017. Xiaojun Chang, Zhigang Ma, Ming Lin, Yi Yang, Alexander G. Hauptmann. Feature Interaction Augmented Sparse Learning for Fast Kinect Motion Detection. IEEE Transactions on Image Processing, Volume 26, Issue 8, Pages 3911-3920. 2017. Shoou-I Yu, Yi Yang, Zhongwen Xu, Shicheng Xu, Deyu Meng, Zexi Mao, Zhigang Ma, Ming Lin, Xuanchong Li, Huan Li, Zhenzhong Lan, Lu Jiang, Alexander G. Hauptmann, Chuang Gan, Xingzhong Du, Xiaojun Chang. Strategies for Searching Video Content with Text Queries or Video Examples (Invited Paper). ITE Transactions on Media Technology and Applications 4.3, Pages 227-238, 2016. Ming Lin, Lijun Zhang, Rong Jin, Shifeng Weng, Changshui Zhang. Online Kernel Learning with Nearly Constant Support Vectors. Neurocomputing. Volume 179, Pages 26–36, 2016. Zheng Hu, Ming Lin, Changshui Zhang. Dependent Online Kernel Learning with Constant Number of Random Fourier Features. IEEE Transactions on Neural Networks and Learning Systems (TNNLS), Volume 26, Issue 10, Pages 2464-2476, 2015. Zheng Pan, Ming Lin, Guangdong Hou, Changshui Zhang. Damping proximal coordinate descent algorithm for non-convex regularization. Neurocomputing, vol 152 Pages 151-163, 2015. Ming Lin, Fei Wang, Changshui Zhang. Large-Scale Eigenvector Approximation via Hilbert Space Embedding Nystrom. Pattern Recognition (PR), 48(5), Pages 1904-1912, 2015. Ming Lin, Shifeng Weng, Changshui Zhang. On the Sample Complexity of Random Fourier Features for Online Learning: How Many Random Fourier Features Do We Need ? . ACM Transactions on Knowledge Discovery from Data (TKDD), Volume 8 Issue 3, Pages 13:1--13:19, June 2014, ISSN 1556-4681. The gFM package implements the algorithm proposed in our paper “A Non-convex One-Pass Framework for Generalized Factorization Machine and Rank-One Matrix Sensing”. My old homepage (out of date) hosted on CMU server is here. A mirror of this website is hosted on Umich server here.